As promised, here is the text version of the report I did in this knowledge heavy video. Class is in session! 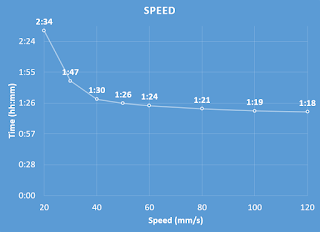 There are several settings which have an effect on print speed. But adjusting these setting has other, sometimes unintentional, consequences. So here's a break down of the settings, how much they effect print speed, and the caveats to look out for. First, you can adjust the scale. This isn't even a print setting, it's just changing the size. Assuming the size of your object is flexible, making it bigger or smaller will have a dramatic effect on the time to print. Not all objects can be re-scaled and retain their usefulness. Doubling in size increases the volume by 8, because you're doubling the height, length, and width. However, print time doesn't go up by 8 when you double because 3D prints are mostly hollow. Still, there is a significant increase, and perhaps the most significant of all the settings. Next is the speed setting. 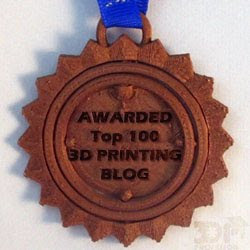 Yes, you can tell your 3D printer to just plain go faster. The faster you go, the sooner the print completes. The faster you go, the worse your print will look, generally. Because of acceleration, though, print time tends to plateau, unless your part consists of a lot of long, flat runs that will allow your print head to get up to speed. Small details won't see much of an improvement in print time. Since the prints are hollow perhaps you'd think that changing the number of outlines would have an effect on the print time? It does, but not as dramatic as you might think. 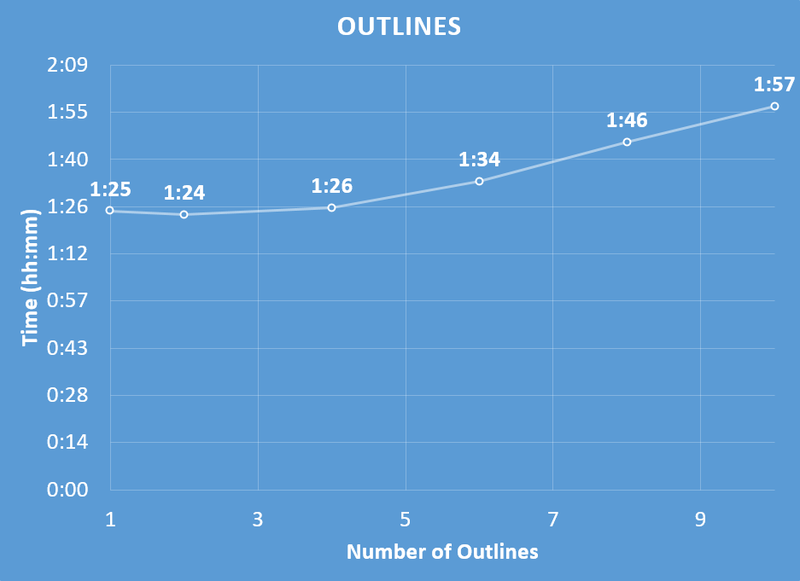 Perhaps this is because the more outlines you add the smaller each outline is getting. 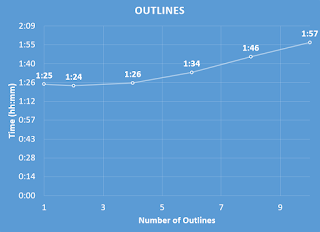 And maybe adding more outlines will have a more dramatic effect as the scale goes up, but proving that is a lot of data gathering and math to scale things back to baseline that I just didn't want to go through this time. Since outlines have such a mild effect on print time I'm going to use 3 as my baseline from now on, instead of 2, so my parts can be just a little bit stronger than they were before. So what about the infill? Surely putting more material will have an effect on print time? Well, less than you might expect again. Perhaps this is because infill is generally straight lines allowing acceleration to do it's job. Maybe a different infill pattern than the printer has to perform more discrete movements to accomplish will make this effect more dramatic. Perhaps, but again that's outside the scope of this exploration. But this does kind of shed light on the attempts in the past to double up on the thickness of infill layer heights to save print time. The gains on such attempts probably wouldn't be that dramatic. 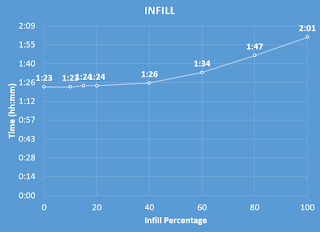 Infill does have a maximum amount of time that it will impact your print, too. 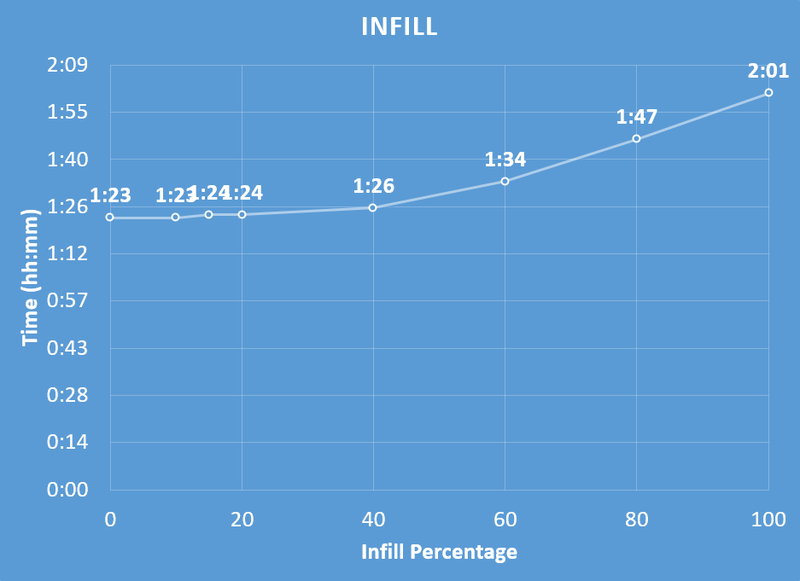 You can't do more than 100% or less than 0% infill. And saving the most popular setting for last, there's layer height. The smaller the layers the longer the print takes. 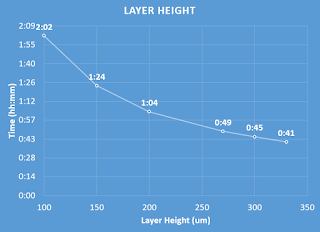 There seems to be an upward trend as layer height goes down. 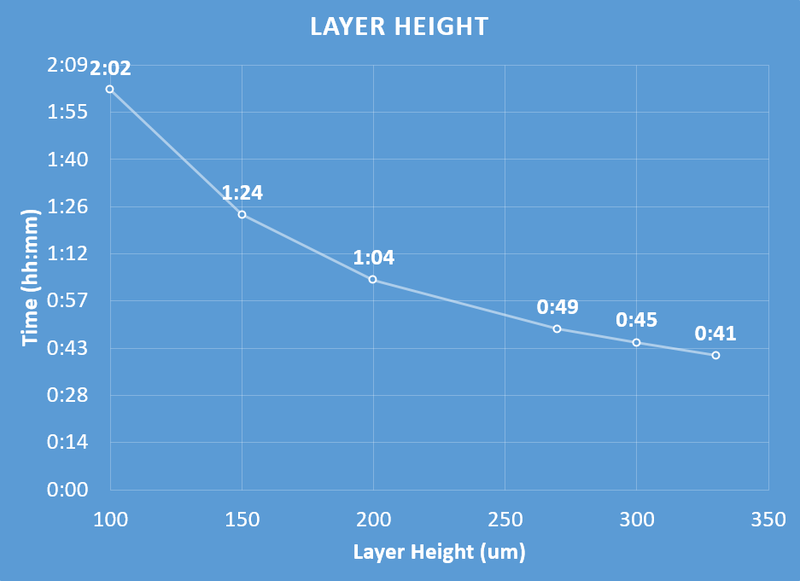 Which makes sense since 0mm layers would theoretically take infinite time to print. The thinner the layers the better the print looks in general. The thinner the layer the more dramatic the overhangs can be as well since the distance of the overhang is physically smaller. I tend to set 0.15mm layers as my baseline. It looks really good and it's just before the time to do a print really takes off. 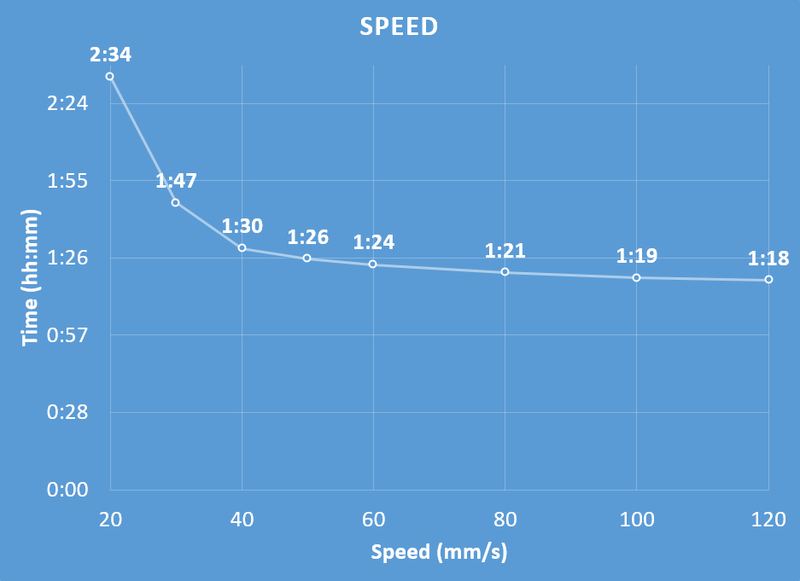 The time different between 200m and 150mm is significantly less than the time difference between 150mm and 100mm, in my opinion, but gain in how the part looks isn't significant in my opinion. So there you go. Ranked in order of how much they effect print time, scale, layer height, speed, outlines, infill each can help you control how long it takes to print a thing. But armed with this knowledge when do you think it would be valuable to control print time? Me, personally, I want to make a tabletop game where you're racing a 3D print to collect resources and stats and when the print finishes game play switches to beating new new piece that was literally just built. Kind of like a tabletop version of Sinistar. 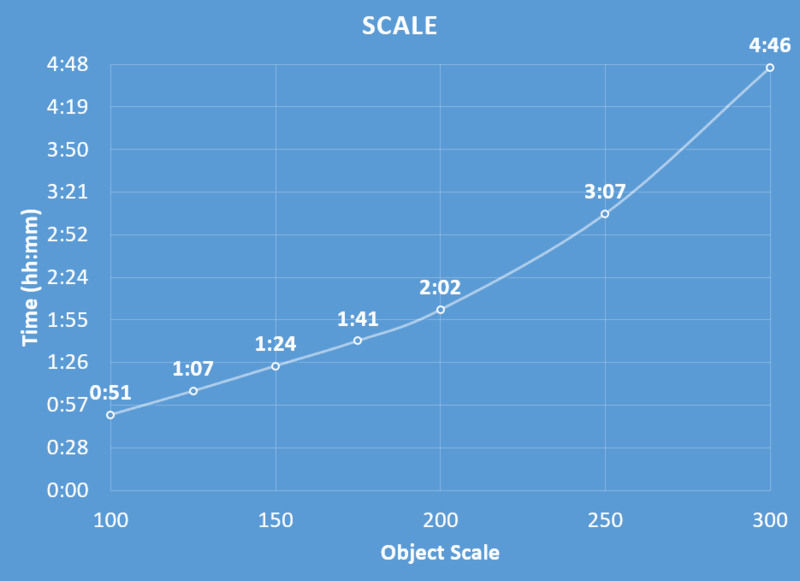 Slicing a bigger model that nullifies the min layer time setting (or setting it to 0) would probably yield different results on the speed, outlines and infill graphs. 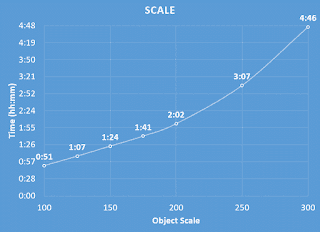 These graphs is still very much accurate when printing small objects though, which people probably mostly do. Hmm, you may have a point there. Didn't think about minimum layer time. That might be easy enough with preview to confirm or deny. Support directly through Paypal for exclusive content including advance access to 3D models.